Mr. 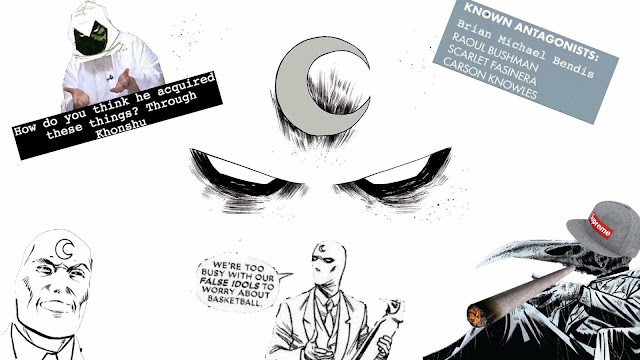 Morbid's House of Fuckery: Going full on Moon Knight Core! Following with the Moon Knight theme from yesterday, I figured I'd showcase a FB page that's dedicated to the Fist of Knonshu, with tons of posts and pics guaranteed to make any true MK fan smile. 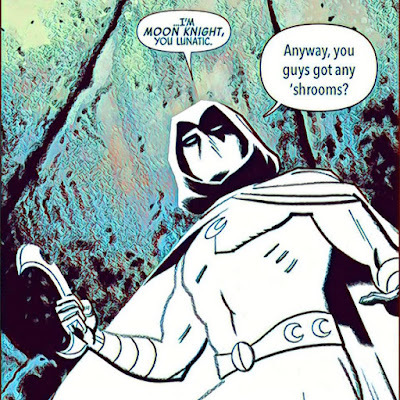 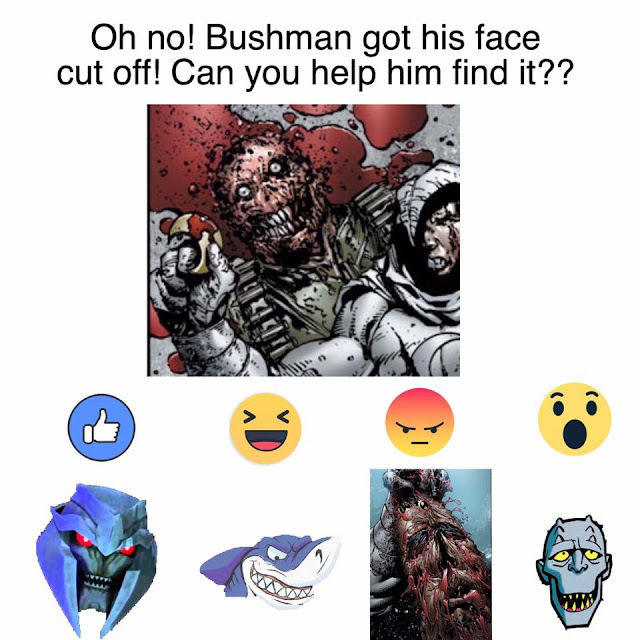 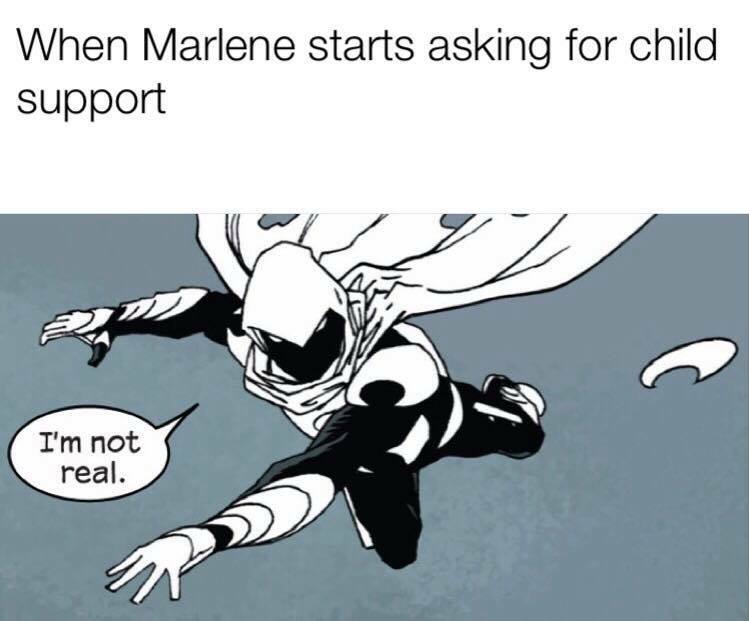 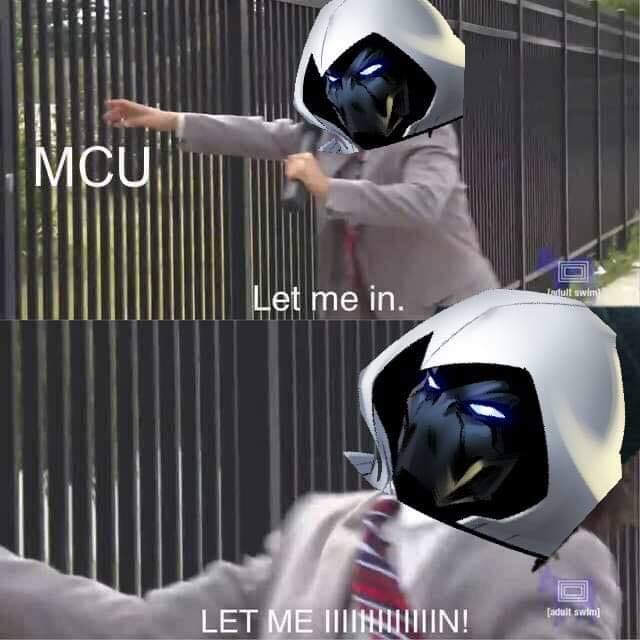 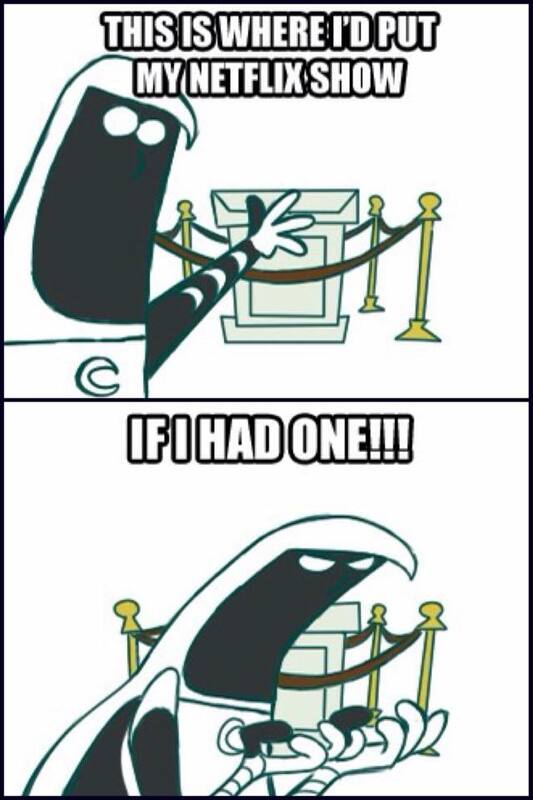 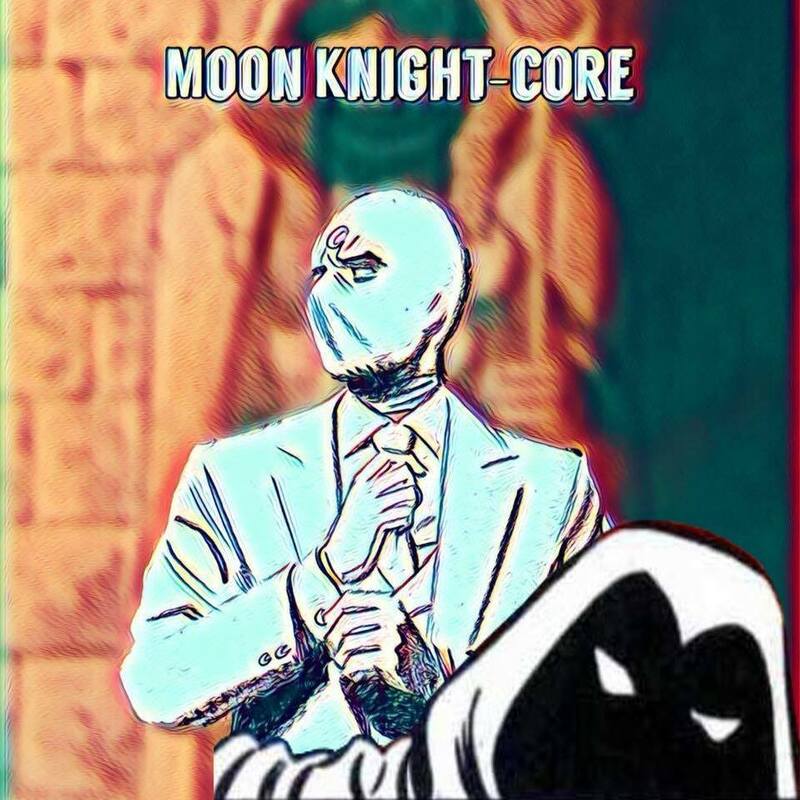 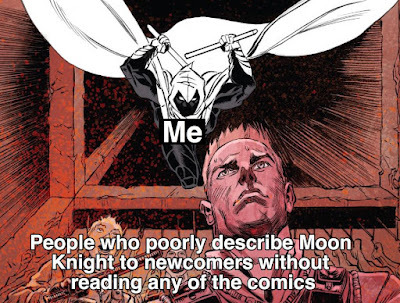 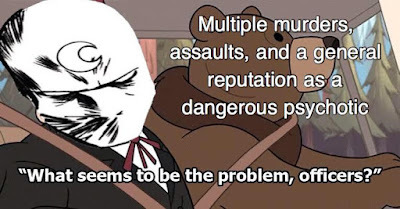 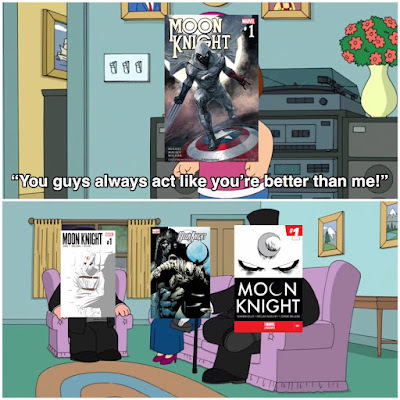 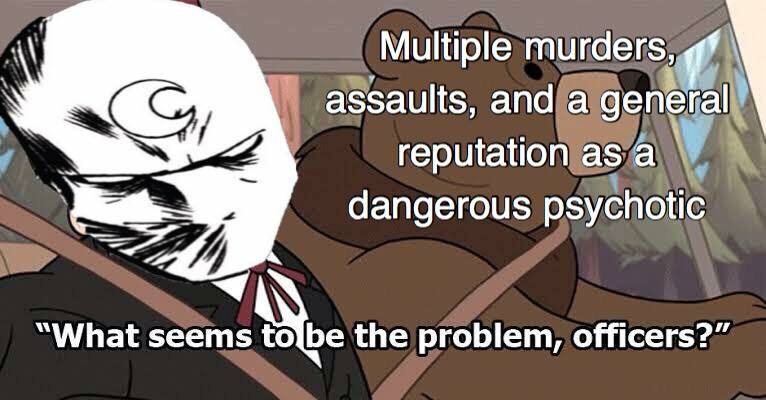 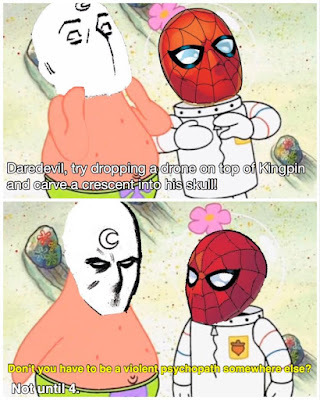 If you get on Facebook and go here: https://www.facebook.com/MoonKnightCore/?ref=br_tf&epa=SEARCH_BOX be preapred for some of the most random and hilarious MK posts and skits available, with a wide assortment of topics ranging from how the MU super hero community deals with Moon Knight's obsession with cutting off and wearing the faces of his enemies, to Dracula owing him money. 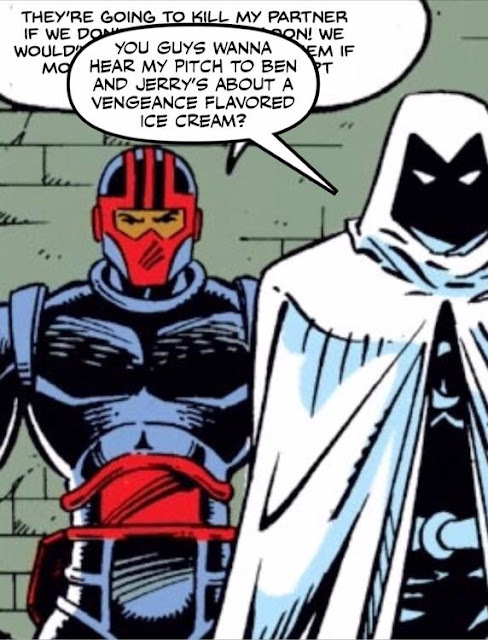 That's right, the administrator created an ongoing joke about Dracula, lord of the vampires, owing Moon Knight money. 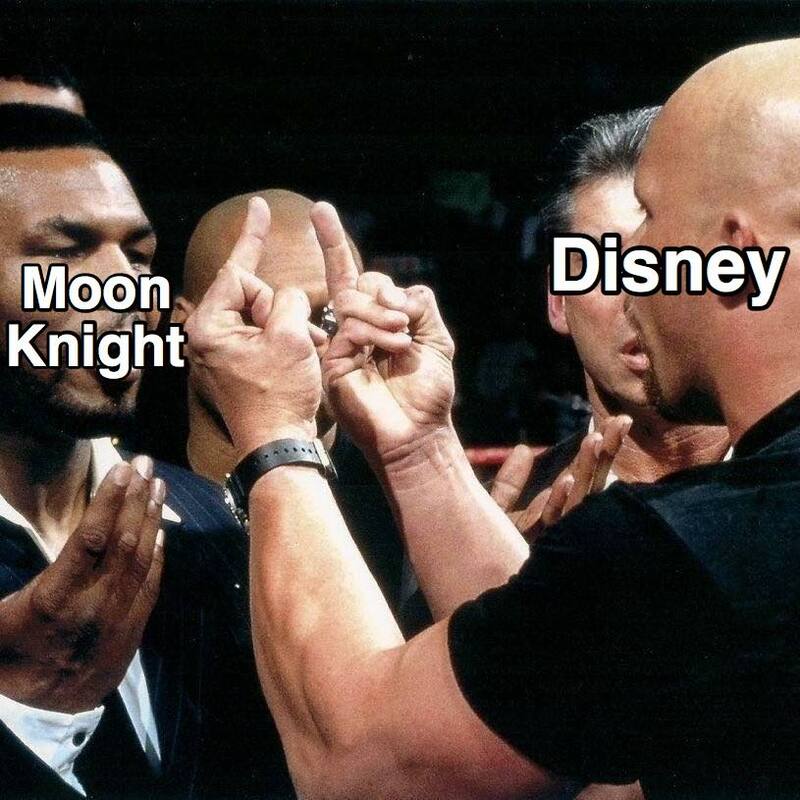 Enough that Drac constantly ducks out from paying Spector back, and no we don't get a backstory how this happened, but it's still a redonkulous concept enough to be entertaining. 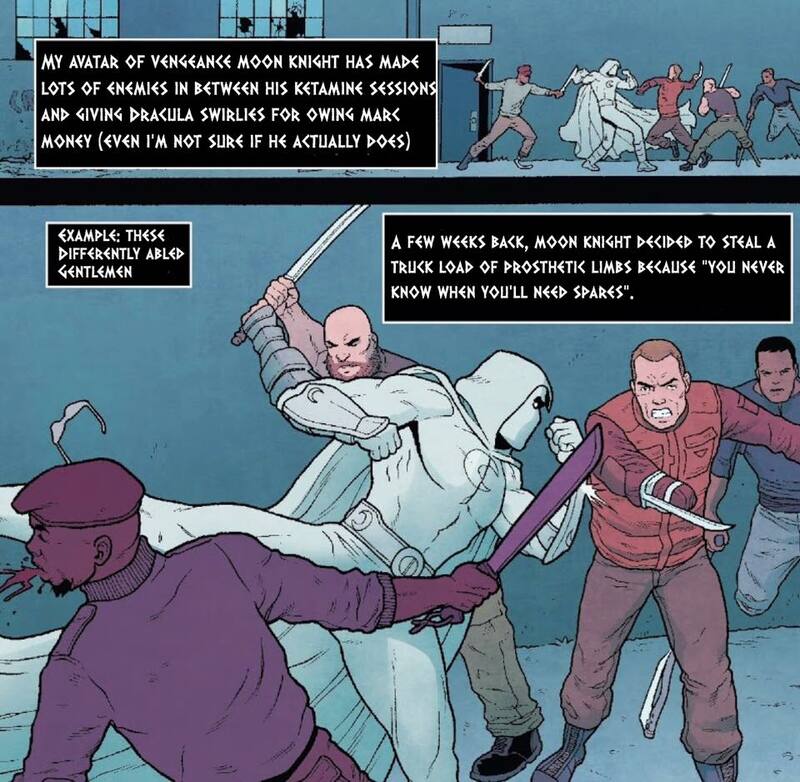 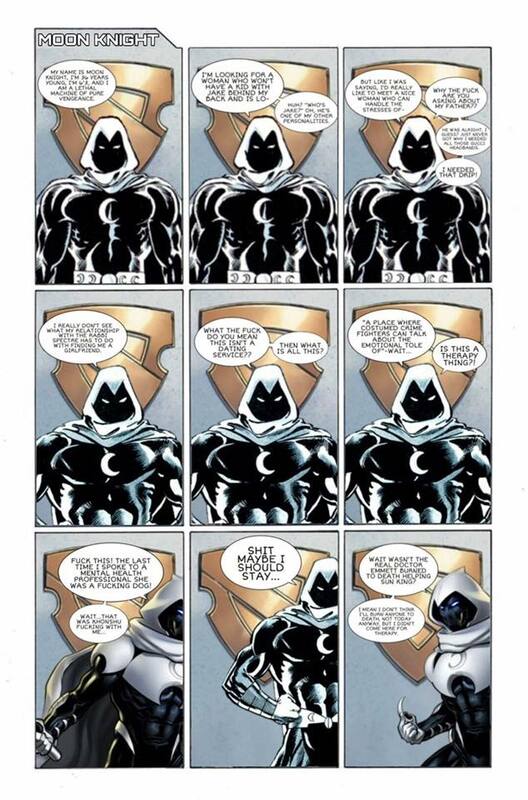 Do yourself a favor, whether you're a fan of Moon Knight's or not, and check this page out. There's more of course, but the true fun's in taking the time to read all of them. 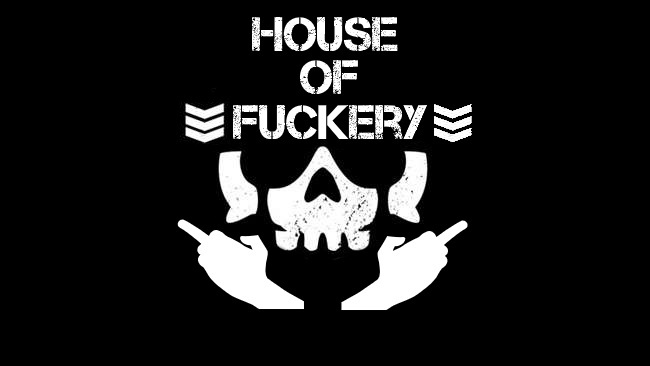 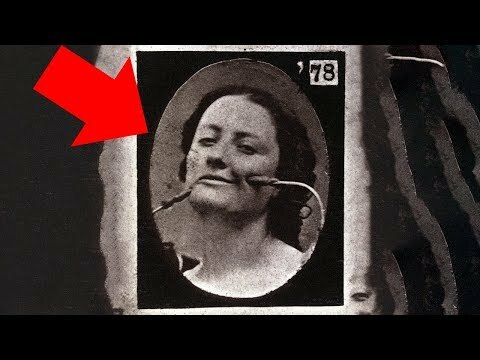 Do yourself a favor and check it out.